Our newsletter is sent directly to you by e-mail. We put thousands of penny stocks through Leeds Analysis, and reveal those that we expect to significantly increase in price. Our subscribers have their own discount broker, which they use to trade the shares in these high quality companies! 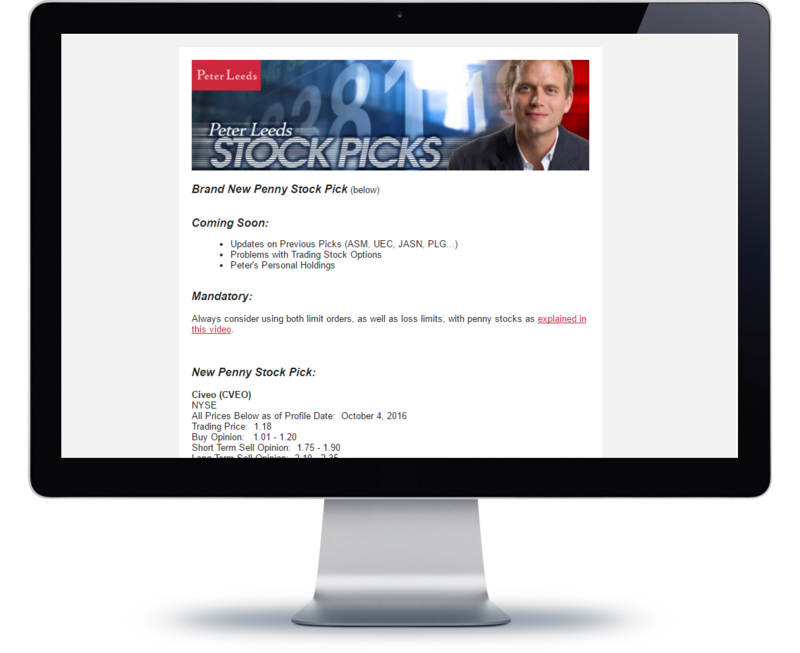 My team works very hard to analyze and review thousands of penny stocks trading on the stock market, and those companies which make it to our third level short list are put through rigorous and demanding Leeds Analysis. I know that you will give yourself this massive advantage. Let us prove ourselves to you - we look very forward to helping you benefit! 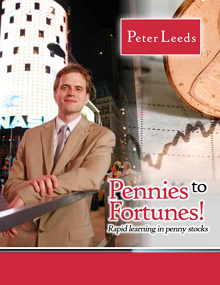 As a free gift to you, you get Pennies to Fortunes (Rapid learning in penny stocks), by Peter Leeds, a $29.50 value!